Why is there a shortage of tetanus vaccine in China? 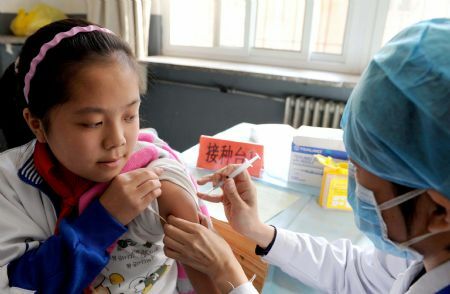 The local manufacturer of Tetanus-diphtheria vaccine (Td) does not plan to continue producing this vaccine, at least until mid 2013, due to low demand of use in China. The low demand is mainly because the China immunization schedule does not include the 10 years booster for all adults. Tetanus vaccine for children is still in the China immunisation schedule. It is offered as DTaP and DT for different ages of children. What can be done if I had an accident causing open and dirty wounds and I know I do not have tetanus immunity? [Our hospital] has the tetanus immunoglobulin that our doctor can administer intramuscularly to prevent possible tetanus infection. What is the reason for the shortage Tdap (Boostrix) vaccine? Boostrix is manufactured by GSK Belgium. This imported vaccine is discontinued in the China market, but still available globally elsewhere. How soon are these vaccine shortages going to affect us? Very soon. Remaining stock of Td vaccine expires on December 23rd, 2012; remaining Tdap (Boostrix) stock expires on January 31st, 2013.
Who will be most affected by the Boostrix shortage? Adolescents and adults (i.e. parents, siblings, grandparents, childcare providers and healthcare personnel) who have or anticipate having close contact with infants younger than 12 months of age and pregnant women who previously have not received Tdap. US Advisory Committee on Immunization Practices (ACIP) recommends this group of people to be vaccinated against pertussis (also known as whooping cough) with Tdap vaccine (Boostrix), because pertussis causes high risk of pneumonia and death in young infants, especially < 3 months-old if infected.